This Densifying Foam from the Caviar Clinical range is a lightweight mousse which saves up to 1,300 strands of hair per month by strengthening and preventing breakage. With Red Clover Growth Complex,it instantly gives you fuller and thicker looking hair without weighing down your hair. 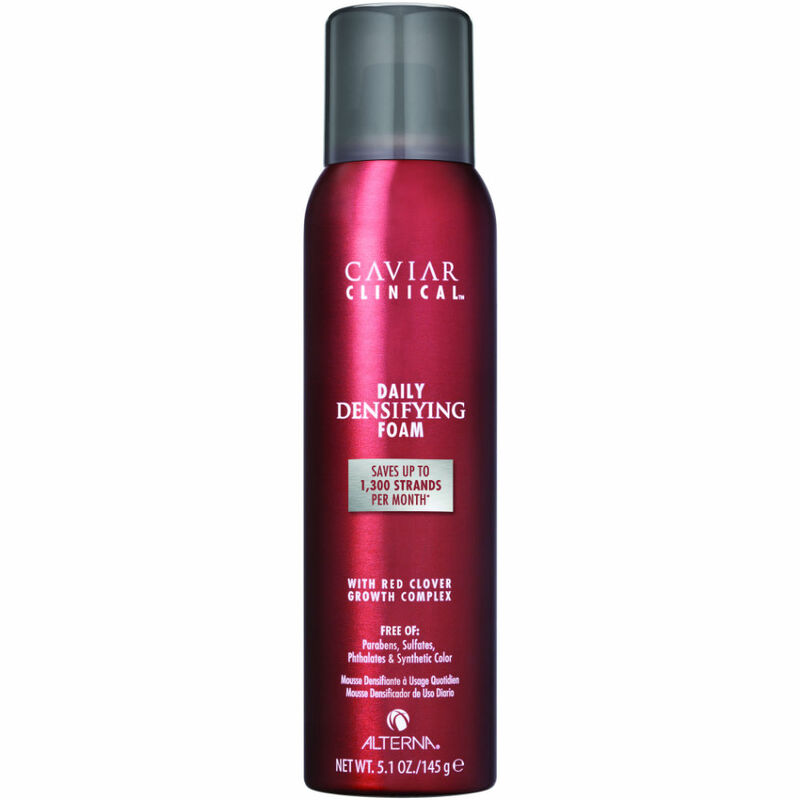 Caviar Clinical Daily Densifying Mousse does not leave your hair feeling sticky or stiff. Directions; Put a small egg size amount on palm and distribute throughout the hair. Comb Caviar Clinical Daily Densifying Mousse through with a wide toothed comb , then style.